What’s the GDPR and what does it have to do with you? It’s now been over a month since the EU passed the GDPR but many still have no idea what it does. The bad news is that it can potentially saddle you with tens of millions of Euros in fines. The good news is that it’s relatively easy to circumvent those infamous geo-blocks and get your blog in line with the new regulations. Publishers used to search; What is GDPR for bloggers? What are GDPR compliance instructions for online publishers? 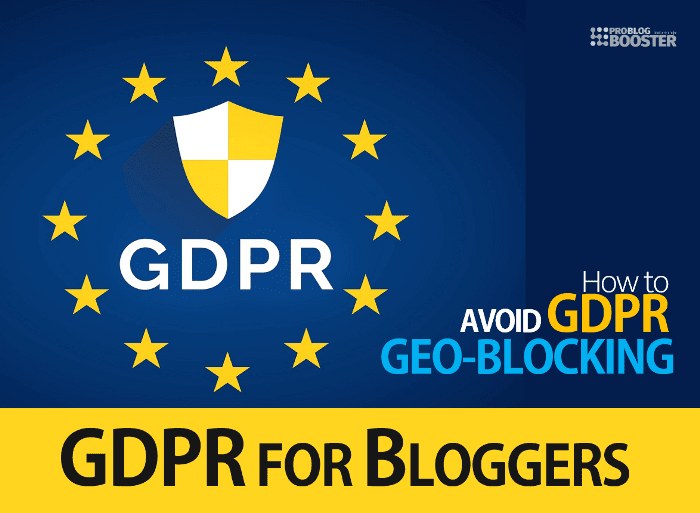 How does GDPR affect bloggers? What do bloggers required to know about GDPR? The General Data Protection Regulation (GDPR) act is actually an update of the Data Protection Act, which was signed in 1998. The update has been in the works for almost two years and was inevitable, as the previously instated regulations were outrageously outdated. The modern Internet is nothing like it was in 1998. Back then, you could physically eavesdrop on your dial-up connection (remember that?). The purpose of the new GDPR UK is to grant EU citizens legal control over their personal data and change the way companies around the globe handle it. The updated GDPR certification & set of regulations is much more restrictive than the previous one. Lately, there’s been a lot of talk about how the new GDPR will affect the Internet. There are different interpretations, but the new data protection act ultimately benefits the growing online community as it aims to ensure ethical and lawful data management for the future to come. Though the new GDPR protects the personal data of citizens in the 28 EU member states, its impact transcends borders (yeah, just like the Internet itself). The fact of the matter is that companies and individuals (mostly bloggers) collecting and handling data worldwide must comply with the new set of regulations. Any entity (regardless of its location) dealing with EU citizens’ or residents’ data has to abide by the GDPR. According to Article 83.5, infringements could be subject to administrative fines up to 20 million Euros, or up to 4% of the total worldwide annual turnover of the preceding financial year for a business - whichever is higher. Some organizations have implemented geo-blocking measures because they needed time to ensure that their data management policies comply with the new regulations. Geo-blocking, short for geographical blocking, allows online services to restrict access based on a user’s physical location. As soon as the GDPR went into effect, quite a few major companies around the world started geo-blocking any traffic coming in from any of the 28 EU member states. Some notable examples that continue to geo-block users from the EU are the Los Angeles Times and the Chicago Tribune. Read on and you’ll find useful tips to circumvent geo-blocking as well as advice for bloggers concerned about this massive change. Disclaimer: This post is not legal advice by any stretch of the imagination. For legal information regarding GDPR, we recommend seeking professional legal advice. Who’s affected by the new GDPR? The short answer - pretty much everyone that runs an online business, and that includes the blogging community. Understanding the new set of GDPR regulations is imperative, to put it lightly. Naturally, EU citizens are also affected by the new GDPR. As discussed, residents of the 28 EU member states might not be able to enter certain websites due to GDPR-related geo-blocking. Simply put, geo-blocking limits the user's access to the Internet based on their geographical location. While the underlying idea of the Internet was to create a network that connects the whole world, quite a few websites remain confined to specific geographic areas. The technology behind geo-blocking is not that complicated. Each device that connects to the Internet has an IP address. Whenever you request to access content on a server, .i.e., a website, your device’s IP address is sent along with that request. Since your IP can be used to discover your location quite accurately, companies can easily block specific countries. The enforcement of the new GDPR made geo-blocking a hot topic, but it has been around for years, and people have been bypassing it without much trouble. There are quite a few ways to circumvent geographical restrictions, but the easiest one is by using a VPN. Besides ensuring secure connectivity, a VPN service allows you to hand-pick the location of your server. Yes, it's as simple as that: all you’ve got to do is choose a server that is not located in a region blacklisted by the website you’re trying to enter. While it might not be obvious at first, the blogging community has been affected by the new GDPR quite significantly. 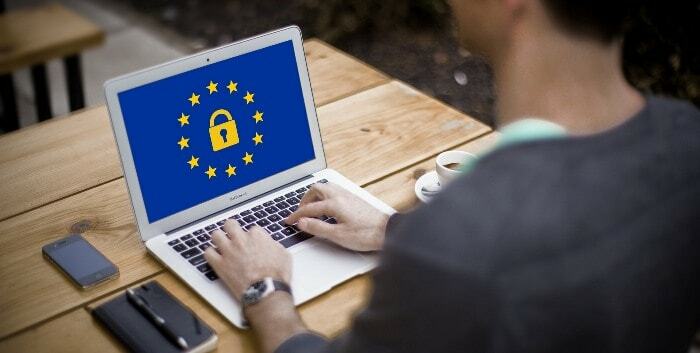 Whether you’re a blogger based in the EU or have visitors (one’s enough) from any of the member states, your website must comply with the new data protection law; otherwise, you may face those enormous fines. Most bloggers have at least an email list, which would fall under the legal definition of personal data in Article 4.1 of the new GDPR. As a blog owner, you must take all the necessary action to ensure that all data management operations regarding EU citizens’ information abide by the new set of regulations. One of the critical aspects of the updated GDPR is that it requires data controllers to know what the collected data covers, where it’s stored, and to ensure its security. With that in mind, you need to take appropriate measures to protect your website and all databases containing personal data. You might need to implement additional security measures to comply with the new regulations. In case of a security breach, you must inform users and authorities within 24 hours. If you fail to comply with the security provisions in the new GDPR, you may face legal consequences. Many bloggers use third-party services to run their websites. The only way to be sure that you’re GDPR compliant is to make sure that all of those third-party tools abide by the new set of regulations. The best way to do that is by making a list of all of the services you use and researching them thoroughly. Long gone are the days of auto opt-ins. According to the new GDPR, you must present each user with clearly worded consent forms regarding data collection. Additionally, users must have an opportunity to opt-out at any time, and if they do, you’ll have to terminate all of the data held on that specific individual. Remember that you need to create or update consent forms regarding cookies and mailing lists. Under the GDPR, you are required to inform users what they can expect when they submit their personal data to you and how that data will be used. Wrapping your head around the new GDPR in regards to your blog is essential if you want to work without facing legal action. Remember, these changes are not that hard to implement: millions of people have already done so, and now, just a month after the implementation of the new GDPR, there’re quite a few services and tools that’ll make your life easier. Clearly, data regulation is a developing topic, and something the blogging community will have to keep an eye on at all times. For more in-depth information, be sure to read the full publication of the new GDPR. Although there've been mixed opinions regarding the GDPR, at the end of the day, these new regulations are a necessary step towards ensuring the transparency of data collection and management. It’s been over a month since the implementation of GDPR, and it has been messy, but that's not surprising since it marks a massive change in the way we treat personal data. The hope is that companies and individuals will settle in and the new GDPR will be nothing to worry about.